The energy (electricity and heat) generated by the Anaerobic Digester is eligible for the Government’s Renewable Energy Financial Incentive Scheme (FITs and RHI). Based on the predicted income from the energy generated, Members who have purchased Shares will benefit from a fixed interest rate of 8% over a predicted 10 years. 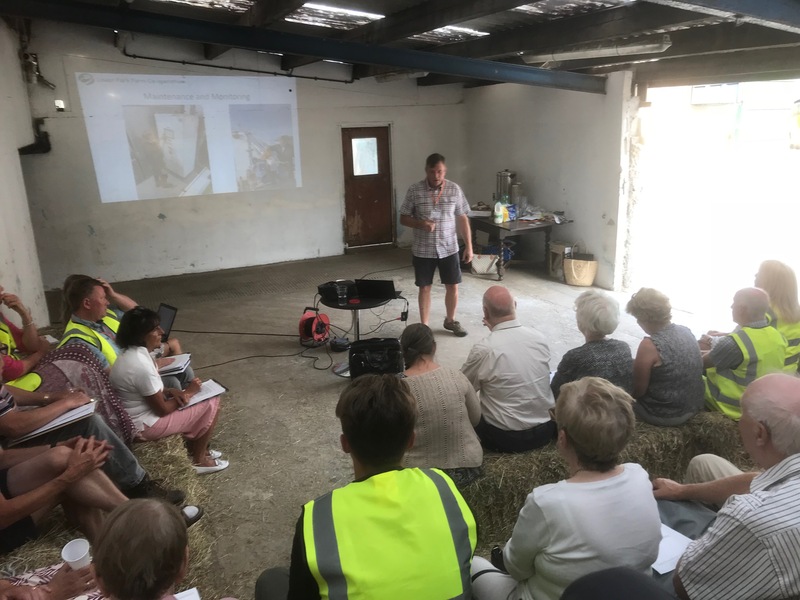 To fund the AD plant at Lower Park Farm, the Co-operative is offering 1,250,000 Withdrawable Shares of £1 to members of the local and wider community. During the initial offer period, we are inviting investors to subscribe for between 1,000 and 100,000 Shares each. This Share Offer is open to individuals over 16 years of age, companies, co-operatives and charities that meet the membership requirements under the Co-operative’s Rules. You may apply on behalf of an organisation / corporate body as long as you are properly authorised to do so. You may wish to invest as a trustee or nominee on behalf of a child (under 16 years of age). Shares issued in these circumstances will be transferred to the child when they attain 16 years of age. The investment limit of £100,000 includes any Shares purchased as a nominee for a child. Members purchase Withdrawable Shares with membership rights and responsibilities as defined in the Rules. The Shares are created under the Co-operative and Community Benefit Societies Act 2014 and will not be traded on any stock exchange. Members receive Share Certificates. Details of share holdings will be recorded in a Share Register kept at Lower Park Farm Co-operative’s registered address. The right to interest payments until repayment of the investment. Voting rights: Each Member has one vote regardless of the number of Shares held. All Members have equal rights regardless of location. The right to elect the Lower Park Farm Co-operative Board (Directors) and eligibility for election to the Board. The capital cost of the project is fixed at £1,250,000. Lower Park Farm Co-operative Ltd is liable for all operating overheads, which are included in the budget. Shares will be paid off across an anticipated investment period of 10 years. This timeframe may vary, depending on the performance of the AD plant in terms of its biogas production level. Once all of the Investors have been repaid, i.e. their Shares have all been withdrawn and all interest owed to them has been paid, the only Members left in the Co-operative will be the Founding Members, who will, therefore, be both the initial and final Members. Shares in the Co-operative will not increase in value beyond their nominal value of £1. Members see a return on their investment in the form of the 8% interest rate, and not via fluctuations of the value of their Shares (as is the case with conventional shares). The Co-operative will issue Withdrawable Shares to its members. Unlike Transferable Shares, typically issued by a Limited Company, Withdrawable Shares cannot be sold, traded or transferred between Members, and only the Co-operative can buy them back. Members may request a withdrawal of Shares at any time in accordance with the Rules. Any Share withdrawal will take place at the nominal value of £1. The withdrawal of Shares is subject to the absolute discretion of the Board of Directors of the Co-operative. Where sufficient funds are not available, the Co-operative will issue loan stock bearing 8% interest, which will be paid off at the earliest available opportunity. Lower Park Farm Co-operative is incorporated with limited liability. This means that the liability of the Members is limited to the amount paid for the Shares. Limited liability is the condition by which Shareholders are legally responsible for the debts of a company only to the extent of the nominal value of their Shares, i.e. £1 per Share. Before making a decision to invest in Lower Park Farm Co-operative Ltd, you should consider the specific risk factors described below together with all other relevant information provided. These risk factors are considered by the Directors to be material in relation to the Co-operative. The Directors will seek to protect investors against these risks through prudent management practices. These risk factors are not set out in any particular order of priority and should not be regarded as exhaustive or a complete and comprehensive statement of all potential risks and uncertainties associated with the Co-operative. The amount of energy generated by the AD plant is linked to the feedstock supplied to it. This varies both day-to-day and across years, and may be lower than assumed. This does not have a substantial negative effect on the Co-operative – the Farmer is liable for ensuring that sufficient feedstocks are supplied. Specifically, the Farmer must ensure that the AD performs at or above 75% efficiency, and is liable to pay for the Co-operative’s lost profits if the average performance dips below this required minimum level. The project may be delayed or incur additional costs due to technical, legal or financial matters or to fulfil planning conditions, such as the requirement to investigate archaeological finds. There may be interruptions to the generation of energy caused by financial or legal matters or mechanical/electrical failure of equipment, poor installation or damage. Lower Park Farm Co-operative will hold insurance, including cover against loss of income. Regulatory permissions may be withdrawn. Additional risks and uncertainties, that are not presently known to the Directors or which they currently deem immaterial, may also have an adverse effect on the Co-operative’s operating results, financial condition and prospects. Lower Park Farm Co-operative Ltd was incorporated and registered on 20/02/2015 under society number 4043. Lower Park Farm Co-operative Ltd is a Co-operative society formed under the Co-operative and Community Benefit Society Act 2014.